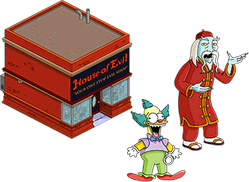 10/25/2017 02/17/2018 LetsPlayNintendoITALeave a Comment on Treehouse of Horror XXVIII: New and leaving items in the store! The Evil Shopkeeper and its bundles are finally in the store! The last 24 hours of the Pumpkin House are also here!